A public hospital outside Metro Manila is catching-up to innovative hospitals to the likes of Makati Medical Center, St. Luke’s Medical Center and the Medical City. 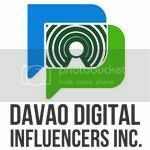 The Southern Philippines Medical Center (SPMC) has become the second biggest public DOH-run hospital in Davao City with a total bed-capacity of 1,500 and over 300+ sub-specialty doctors on 24x7 duty daily to treat or diagnose an average of 1,500 patients from Outpatient, Inpatient and Emergency Rooms daily. SPMC has the most advanced healthcare Information Communication Technology (ITC) Data center that enables the hospital to manage its health services efficiently. 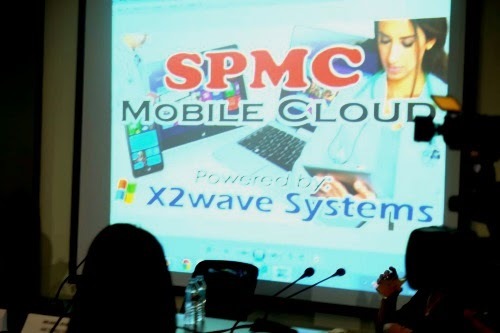 In partnership with the high-technology companies, X2Wave, Accent Micro and HP Philippines, SPMC boasts to be the first to achieve full digital maturity in terms of Hospital Information Systems with an enterprise-class integrated, single Unified Hospital Information System including Electronic Medical Record(EMR), Patient Health Record(PHR), Electronic Patient Management(EPM) and Electronic Health Record(EHR). It is also the first hospital to deploy an integrated hospital systems, with full fiber-optic telemedicine mobile private cloud-computing host systems powered by X2wave, that is truly mobile capable with full secure any time, anywhere access thereby empowering its large pool of medical specialist and practitioners. SPMC is set to be ready for telemedicine and tele-diagnostic capabilities with in-campus fiber-optic backbone from Globe and PLDT pushing internet speeds up-to 10mbps from both telcos. Surrounding Mindanao smaller hospitals should lucky as they shall benefit first such capabilities such as; secure access to vast sub-specialty of Doctors, Radiologist and repository or storage of their patient data or information all electronically. According to the American Telemedicine Association, telemedicine is the use of medical information exchanged from one site to another via electronic communications to improve and expedite patient’s health diagnosis and status update. With SPMC enabling telemedicine, the hospital will be able to reach out to the rural and poor communities in and around the Mindanao areas with accurate and real-time delivery of various medical programs and patient services. Using the Patient Health Portal, patients can view and browse their health records and make appointment with their doctor. But Dr. Flores warned that any disclosure between patients and their doctors is always by consent, this is due to strict privacy of patient information. 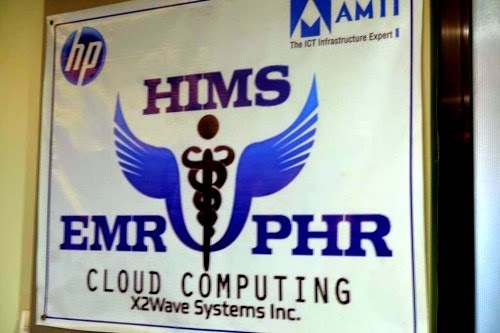 X2wave mobile cloud computing EMR, PHR, EPM and EHR systems are fully integrated into a single platform and engineered for ease-of-use applications, that’s also easy and quick to deploy, customizable and can inter-operate or integrated with 3rd-party software applications. It’s been delivered as a value-add on access services via internet or 3G/4G LTE mobile telecom networks. 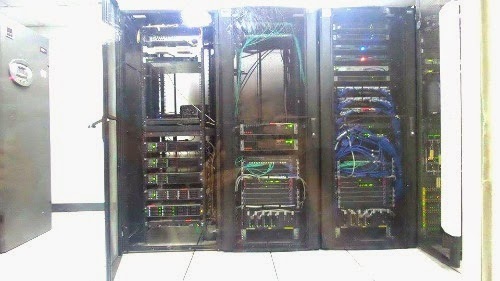 No server hardware, software to install and maintain. Customers who use X2wave’s Server-less technology, On-Demand clinical management services are able to avoid many of the expenses and complexities of traditional client-server implementations. As a result, client Hospitals or Doctors clinics incur less risk and lower upfront costs, becomes more productive and efficient, and healthcare providers can now deliver higher quality care to patients. With the dismal state of healthcare in the Philippines, innovations and technology are always welcome to aid doctors and the hospital to deliver the best care possible. SPMC aims to dispel any misconceptions about healthcare with the innovation it brings to their region or territory, which we shall see more adoption country-wide. CEO & Co-Founder, X2wave Systems, Inc. I agree that innovations and technology are always welcome to aid doctors and the hospital to deliver the best care possible. This is why I really appreciates all the efforts of healthcare providers in the Philippines. May it be from the private sector or public.